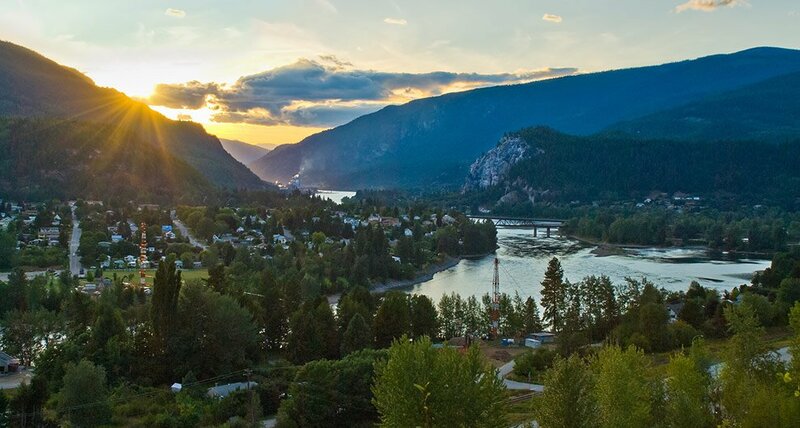 Castlegar is the second largest city located in the Kootenay region of southern British Columbia, and was recently announced as one of the Top 8 Places in B.C. for promising growth. Its economy is fuelled by several industries including mining, forestry, education, retail, and tourism. Castlegar is home to the West Kootenay Regional Airport, which serves as the main transportation hub for the region with flights to both Vancouver and Calgary. In Castlegar, business is important, but lifestyle is also highly valued. Visitors and residents are able to enjoy its variety of outdoor recreations, and numerous events and tournaments throughout the year. Popular activities include cycling between the Columbia and Western Railway corridor, and golfing at the championship Castlegar Golf Club. Other outdoor activities include rock climbing, snowboarding, skiing, mountain biking, boating, skateboarding, and more. One of Castlegar’s most popular events is the Sunfest, its activities include street dancing, pancake breakfast, a riding lawnmower race, a parade, and fireworks. For the perfect afternoon, you may visit one of the many cozy local coffee houses, movie theatres, and pubs. For a relaxing, leisurely walk, take a stroll down the Millenium Walkway, a 1.8km paved riverside walk with benches, lights, a mini bridge, and signs describing the history of the area. Search for current opportunities in Castlegar on our jobs page. Relocating to Castlegar? Learn about the benefits of relocation.